Cleveron is happy to announce a cooperation with the UK-based retailer ASDA. In December 2017, Cleveron installed first automated Parcel Tower, PackRobot, in Trafford Park ASDA store in Manchester. 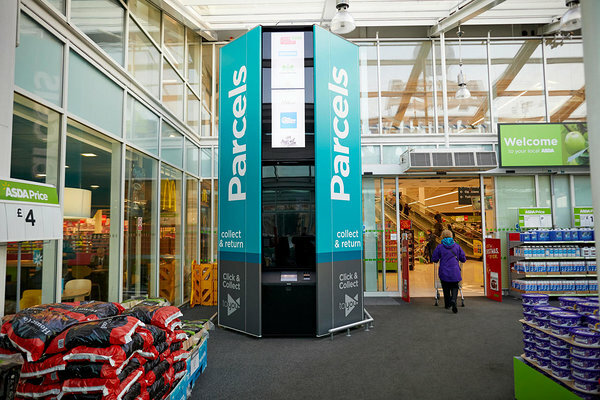 Parcel tower enables ASDA’s customers to pick up online orders as self-service within seconds. ASDA is the third largest British supermarket chain with decades of history. Today, ASDA owns over 600 location all over the UK. ASDA is the first retailer in the UK using Cleveron’s click and collect solution. ASDA’s customers can choose from thousands of items available in their online store using their computer or smartphone, and select the store at checkout. When customers visit the store, they scan a barcode sent to their smartphone at the Parcel Tower to receive their order. The service is also available for selected third party partners including Asos, Missguided and Decathlon. So far the pilot phase has been a success as customers are quickly adopting the new solution. By only the end of the first week, over 1500 customers had already used the newly installed Parcel Tower. Founder of Cleveron, Arno Kütt comments the newest cooperation "We are glad to hear that our solutions have performed well across the Atlantic and the praises have resulted in a new client. We will do our best to enhance the click and collect parcel delivery for our client as well as their clients."